Expelled former Information Minister Chishimba Kambwili has claimed that Edgar Lungu has always hated him from the time he appointed him as Information Minister. 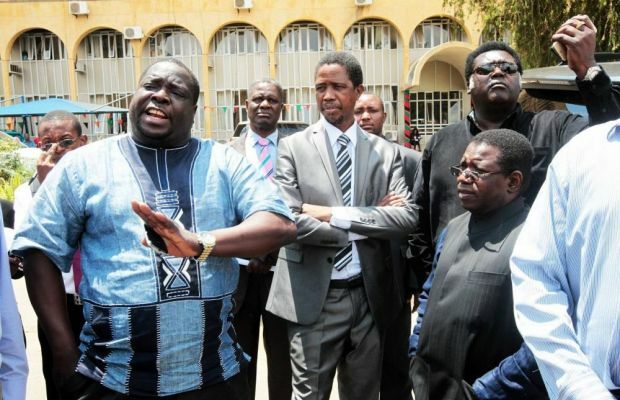 Kambwili charged that when he was sick Lungu failed to evacuate him to South Africa and was only evacuated by friends and his own personal resources yet Lungu had been paying for all ministers that needed to be evacuated. He lamented that even after he returned back from South Africa Lungu did not bother to call him and find out how he was. Kambwili said Lungu has now shown his true colours after getting a full five year mandate to rule the country but stressed that the PF under Lungu was headed for extinction due to intolerance. He claimed that all the reasons cited for his expulsion were false adding that Lungu was told by party lawyers that procedure was not followed in disciplining him but he maintained that he was the President and would go ahead to expel Kambwili even if procedure was not followed. Kambwili was last Saturday kicked out of the PF for what many believe to be his ambition to contest the presidency in 2021.